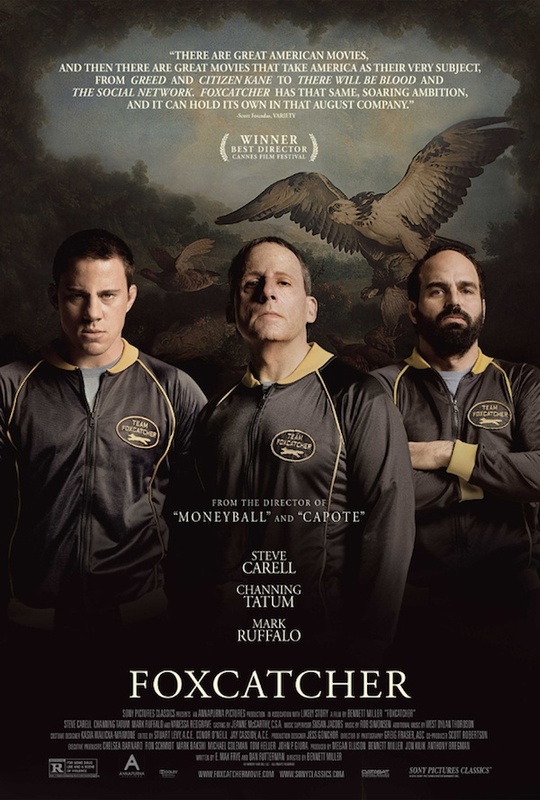 Mark Schultz (Channing Tatum) is a broke gold medal-winning wrestler forever in his brother's (Mark Ruffalo) shadow. That is, until John du Pont (Steve Carrell) calls on him to live on his massive grounds and train a team to become the best in the world. This is a loooong movie. Not like Intersteller 3 hours long, but like a secondary school double maths/business class before school ends on your half day long. Not only that, but it's like 70% Murican! ego stroking - even in character names. It was at least half an hour longer than it needed to be, most of the scenes felt unneeded for me because they were implied, but for some reason they needed a two minute scene each that left myself and Ally (check her out, she's alri) looking at each other like whaa thaa faa??.. The acting was absolutely incredible for every main character however; Steve Carrell was brilliant, he was like a different person a lot of the time and his voice was done really well, even to the point where he wasn't Michael Scott any more!! Mark Ruffalo is really getting up there in my favourite actors after this, he was completely convincing as the revered-yet humble-brother and the doting father/brother. But the real star was Channing Tatum, where the HELL did he get his acting chops?! I remember avoiding movies with him due to my brothers obsession with the stupid Never Back Down but not only is he hilarious in the Jump Street movies, but he also was the only character in the movie I remotely cared about. All of his scenes with Steve Carrell seemed so genuine it was incredible. Quickly expanding on the not caring about characters point, they introduce some people and suddenly you're meant to care about them without much reason other than they're Dave's wife or John's mother - I found it hard to care about most major characters. This was Chinese Water Torture for me to watch, and I watched AND enjoyed J. Edgar, as well as LOVING Watchmen. Then on the other hand, the acting is just fantastic; it's almost worth the dullness for just Tatum alone. But maybe it might just not be my thing, try it sure - you might like it.